The story does continue under Qi’s prompting, however, when he sees the woman with her husband seven or eight years later, though she is not convinced she is the same woman. “I haven’t been to the city since I was ten,” she tells him. For all the characters memory is like a tide washing in and out; we might even think at times they are creating the memories others feel they should have. (Note she makes no distinction between ‘story’ and ‘memory’). The conclusion of his story about the woman with chestnut boots returns us to the novella’s opening lines regarding dedicating his book to his wife. Similarly, the novella itself ends with the return of Qi, though on this occasion it is the narrator who recognises her only to be told, “My name isn’t Qui, I’m a passerby.” The art portfolio, which, when the narrator first saw her was described as “a large folder, which looked like an art portfolio, or something like a mirror” is now a mirror, as if that earlier thought had created this new reality. 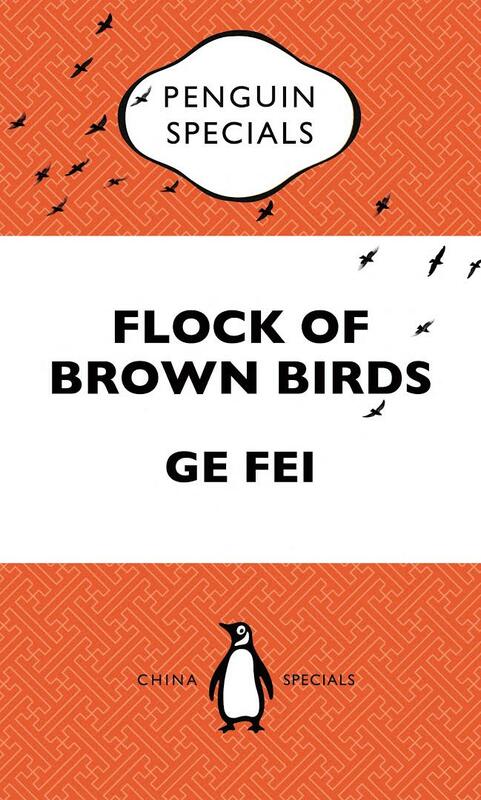 Ge has said that his writing “has two main preoccupations: first, a re-examination of history and secondly, a re-analysis of reality.” In Flock of Brown Birds, the small absences and alterations in our memories (with which we create history and interpret reality) are not only magnified but inconsistent. The narrator himself seems to live outwith time: the seasons he is only reminded of by the birds passing are, in contrast, fiercely present in his story (each section of which takes place in a different season). Ge’s probing of our relationship with reality in this brief tale may be gentle but it’s nonetheless insistent, revealing an exciting and unsettling new voice (for us) from China. You are currently browsing the archives for the Ge Fei category.